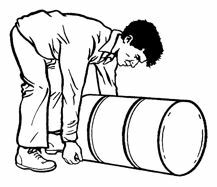 MANUAL HANDLING « First Aid Scotland Ltd. The Training Matrix. 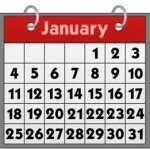 FAW full course profile and booking form. Description Our manual handling awareness (MHA) object training courses have been designed by Royal Society for the Prevention of Accidents (RoSPA) accredited professionals with over 25 years’ experience in the NHS and Emergency Services, using the most up to date techniques as acknowledged by the Health & Safety Executive, and following the Manual Handling Operations Regulations (MHOR) 1992. We are also members of the European Resuscitation Council (ERC), (RoSPA) and the Federation of First Aid Training Organisations (FOFATO). The MHA course is a half day (3-4 hour) course run by a RoSPA accredited trainer which covers: the functions of the human spine; manual handling injuries; identifying the hazards of “top heavy bending”; risk assessment and includes practicing the techniques of base movements and applying them to typical work activities. 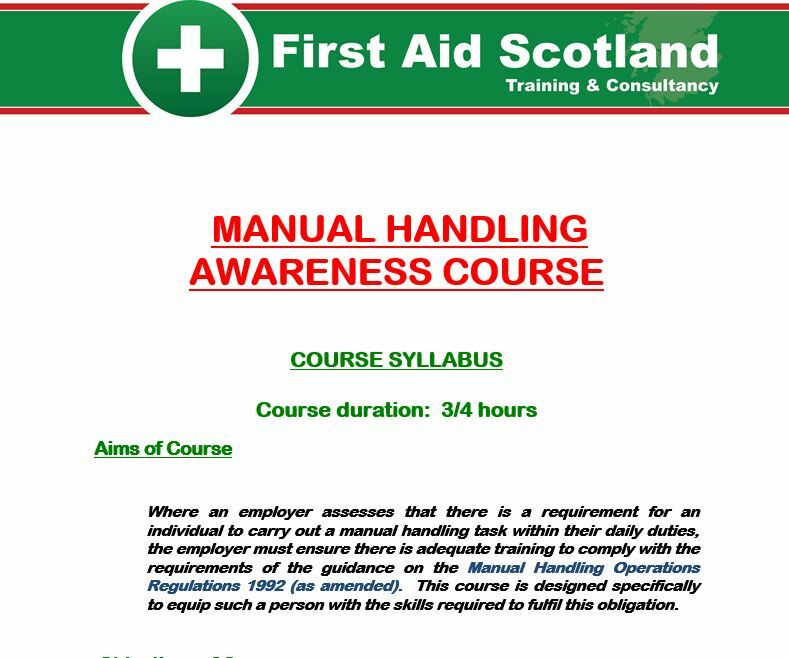 Every delegate on a First Aid Scotland MHA course also receives a delegate pack which includes: a detailed MHA student manual with guidelines on correct techniques and risk assessment.